Sometimes we need food that can be cooked in just minutes. 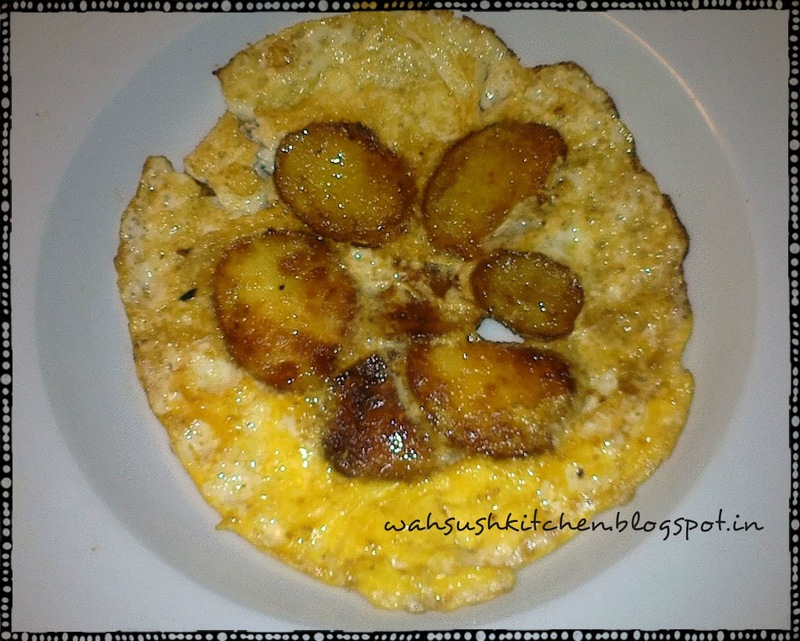 Omelet is one such food ,easy and quick in preparation. So what if we put potatoes in the egg, nothing they are just great combination. They taste awesome, Gut :-). I quite often prepare omelet in so many different manner. But then this potato omelet is kind of filling and hunger satisfying. Sandwich them in bread with cheese and vegetables. Its good everywhere and every time. Its a great way to start your morning with a piece of toasted bread and this omelet. cover and cook for 1 minute. Turn and then cook the other side for 1 min more. Turn off the heat. Your omelet is ready to be served. Tortilla de patatas, las patatas se cortan más grande... amo el olor !! Have had omelette in like, 5 different styles, and just re-visited a favourite one, tastes awesome ! !